• Patience is absolutely a virtue. Complete removal of the spot, spill or stain may require repeating the same procedure more than once. 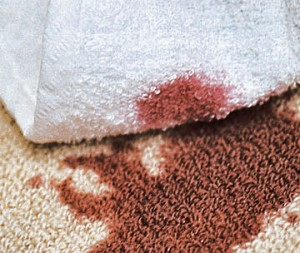 As long as you see color from the spot or stain transfer to the towel, stay with it – don’t give up and you’re carpet will be like new in no time at all.